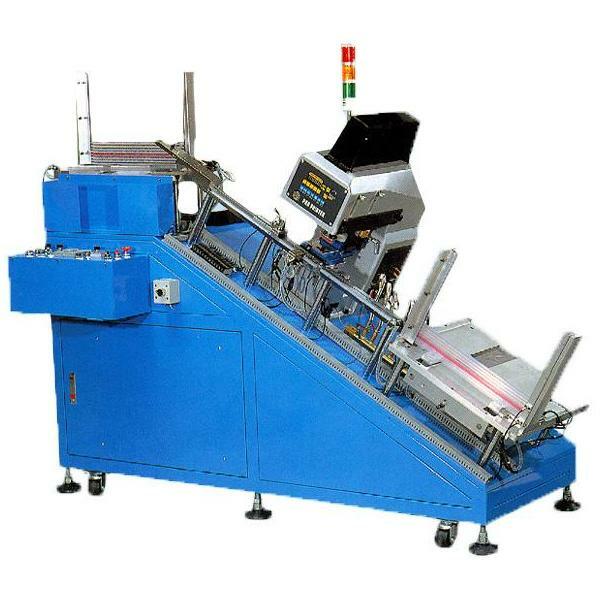 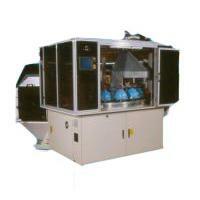 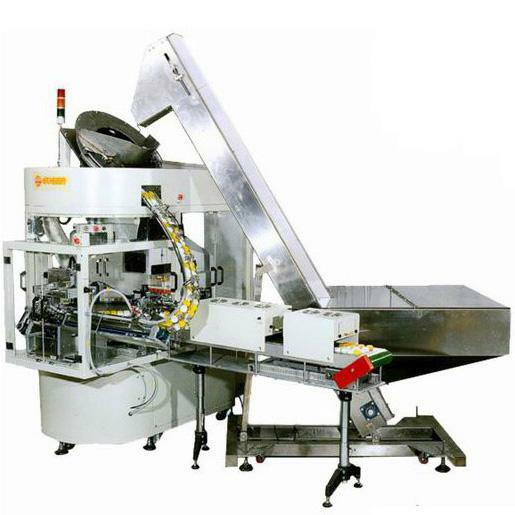 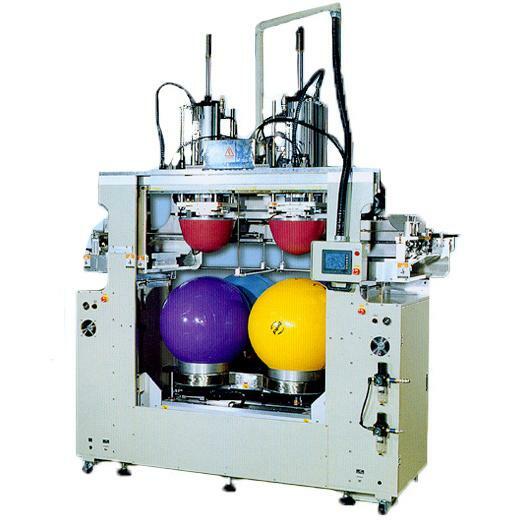 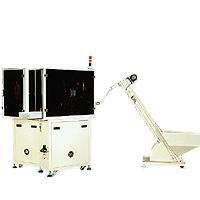 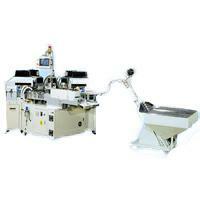 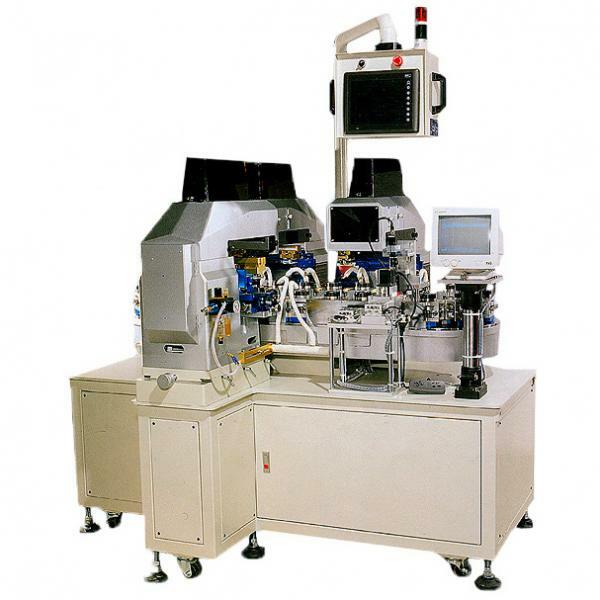 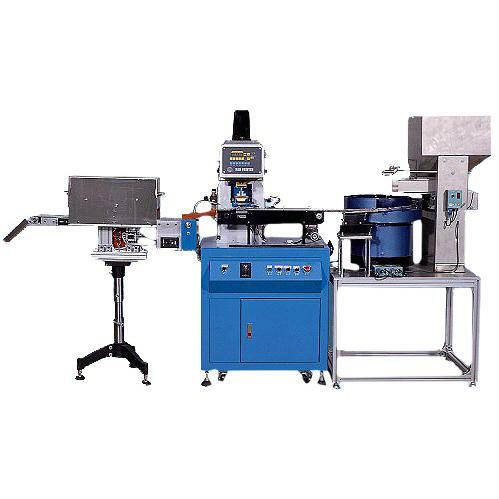 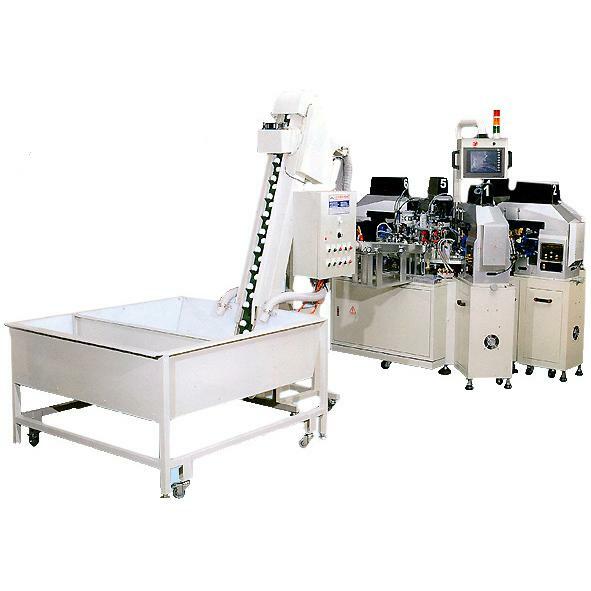 Auto Sealed Ink-Cup Pad Printing Machine - Guger Industries Co, Ltd. 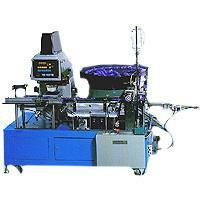 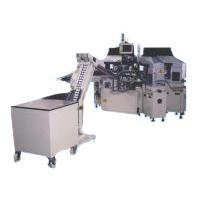 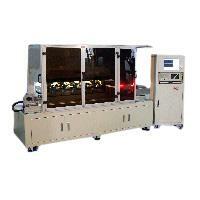 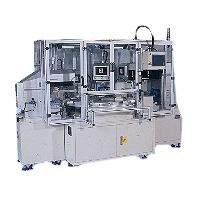 Suitable for printing single color contact lens products. 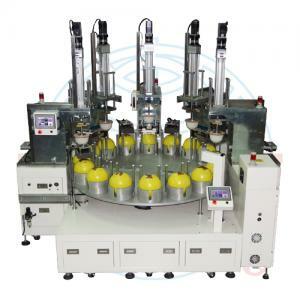 With human-machine interface and auto "DEFAULT" system, easy to operate and maintenance. 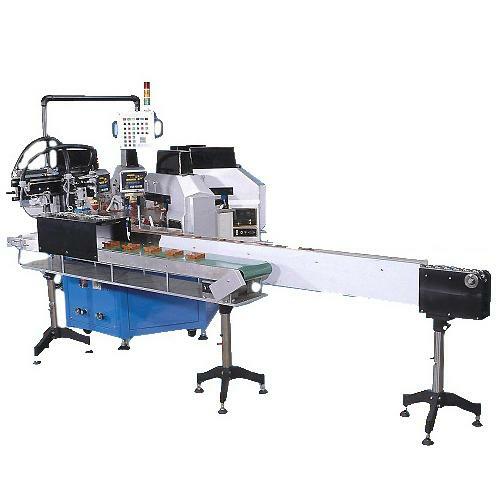 An advanced and unique four times "PAUSE" function for better printing quality has been designed to enable users who may stop or continue the operation, as wish, any time in process of printing. 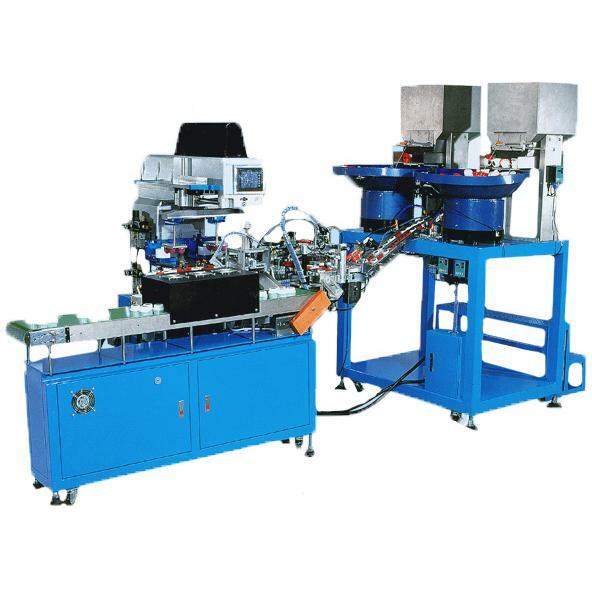 A durable and trouble free both Germany made "BOSCH" and Japan made "SMC" quality pneumatic components and bearing have been adopted and used on the machine. 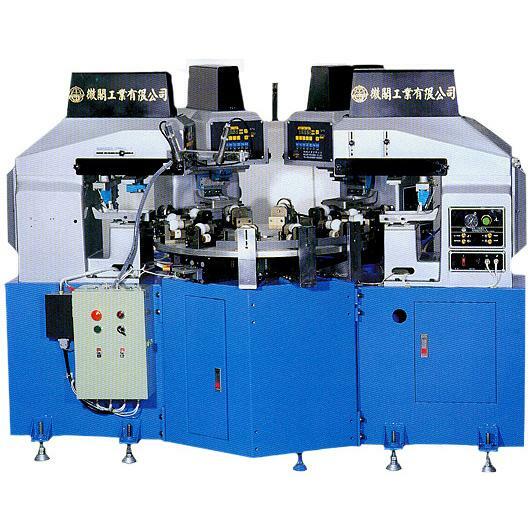 The Mitsubishi PLC control is adopted and used as a peripheral control system to the machine, trouble free and easy maintenance. 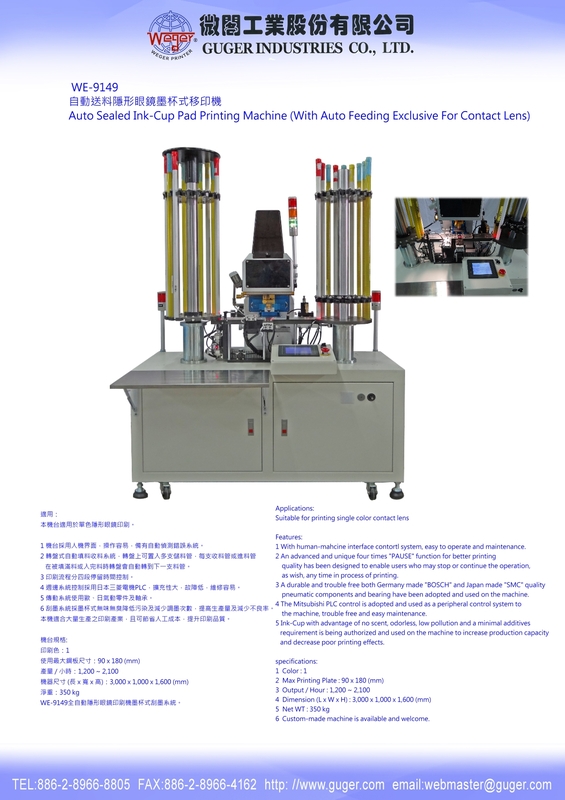 Ink-Cup with advantage of no scent, odorless, low pollution and a minimal additives requirement is being authorized and used on the machine to increase production capacity and decrease poor printing effects. 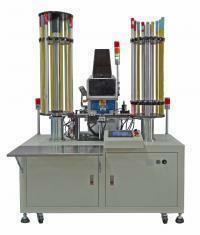 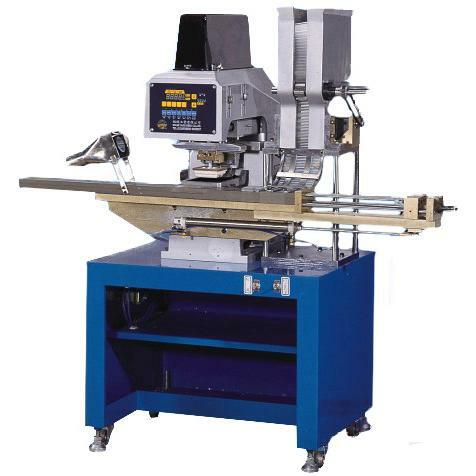 Custom-made machine is available and welcome.